For Windows® Mobile Computers - CipherLab Co., Ltd.
CipherLab provides the configuration tool MDS specially designed to help system administrator or integrators easily and efficiently deploy a number of CipherLab Windows®-based mobile computers. Users can simply set up a file that specifies the settings they want to do and complete the details of the settings in a few clicks. 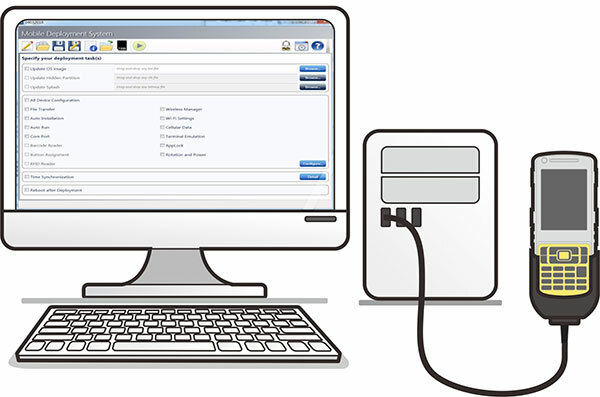 The set up files can be easily transferred to CipherLab mobile computer thru the device’s USB snap on cable or communication cradle. MDS is designed for simple system update and device configuration. The operating system and application software can be updated easily. The device’s configuration updates can be done through several clicks to enable rapid deployment of CipherLab mobile computers.